In 1948, early plans were laid for a club to provide organized recreation for girls who did not belong to any club. The program was housed on Jonathan Street in the Thomas Building and then in 1949 moved in two large basement rooms on High Street. The first floor was remodeled especially designed for the purposes of a Girls Club. The mortgage was paid off in 1956. In 1961 the Hagerstown Kiwanis Club helped ensure the future of the club by donating building lots on Washington Ave... A clubhouse was designed and built for the purpose of a Girls club. It was dedicated on Dec.1, 1963 and mortgage was paid off in May of 1965. Our budget at that time was $38,000. From 1972-1977 there were many more milestones for the Girls Club. Extension services began in local churches and community buildings. We also started a summer program that was four weeks long. In 1991, Girls Clubs of America changed their name to Girls Incorporated. The Hagerstown Girls Club became Girls Incorporated of Washington County. By 1998 we offered over 200 activities, served over 225 girls and 6,000 community members and our summer program was 9 weeks long and we started offering transportation to our center. In 2003 after a 10 year capital campaign, we broke ground to build a new full size gymnasium, second floor and remodel to the existing building. Construction was completed in 2004. In 2008 we celebrated our 60th year of inspiring all girls to be strong, smart and bold! Currently, we serve between 85-100 girls a day ranging from 6-18 years old and over 3026 different girls a year. Our annual budget is $817,586. We provide outreach after and during school in all middle and high schools. We transport girls from 9 local middle and elementary schools to our center. 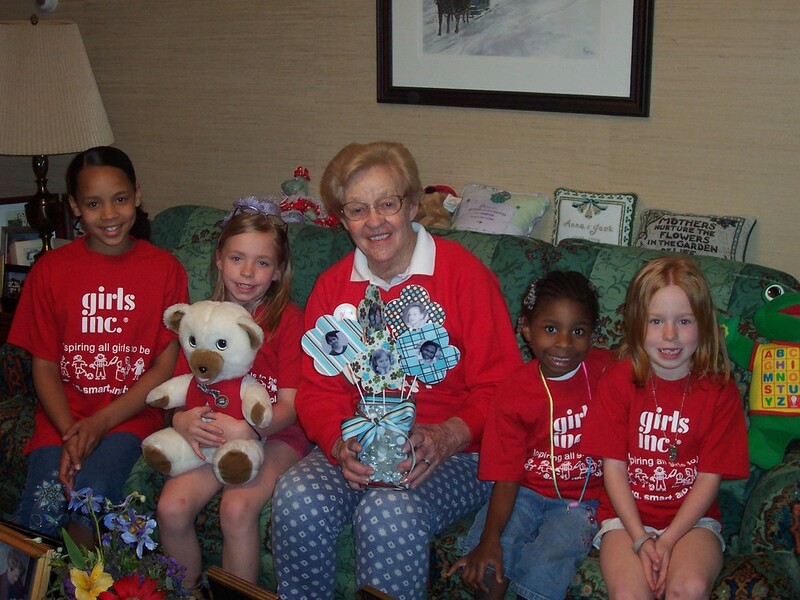 The gymnasium is home to our sports teams as well as local volleyball and basketball organizations .Girls Inc. of Washington County has been welcoming girls into the strongest and most vocal organization for women for over 60 years. At Girls Inc. we raise the bar for girls and dare them to soar in nontraditional areas such as science, technology, and athletics. We place no assumptions or limitations on girls or their abilities, allowing them to discover their own strengths, talents, and dreams. Girls are encouraged to risk failure and to learn from their mistakes. We celebrate the similarities and differences among girls and embrace girls of every background and ability. Girls Inc. motivates girls to speak up for themselves in peer groups, in school, at home, and in the community. We offer a safe and welcoming place in which girls are listened to by their peers and their mentors. We encourage girls to find their voices, and build their communication skills. Girls Inc. is growing to ensure that as many girls possible have access to our powerful programming. Girls Inc. is known for the quality and depth of our programming, and we will continue to invest in new research to be sure that our programs and advocacy efforts reflect the ever changing needs of the young women we serve. We encourage girls to appreciate their individuality and their identity through journal-writing, public speaking, cultural celebrations, women’s history lessons, and leadership training. Guided by our vision of empowered girls and an equitable society, Girls Inc. of Washington County is committed to reaching many more girls through its programs and public education efforts for years to come.